Recibo Menu Show amazing photos of your food, which will help you sell online. Launch an online food ordering system and choose the Recibo restaurant menu template. WordPress menu template Launch an online food ordering system with the Recibo WordPress menu template created for the Good Layers theme. The Wordpress menu plugin will help you to easily and quickly implement the menu on your restaurant website so you can start earning faster. Take advantage of photos and sell more Recibo Wordpress menu theme utilises the full potential of food photos. Show customers what their order will look like. The functionality of the system will help you to easily add products and photos to the menu, which will look great on your restaurant website. Complete freedom You can easily adapt the Recibo WordPress theme to your restaurant website. Adjusting the settings will only take you a few moments. The way in which the photos are presented makes this WordPress menu theme perfect for restaurants where the appearance of the food really matters. 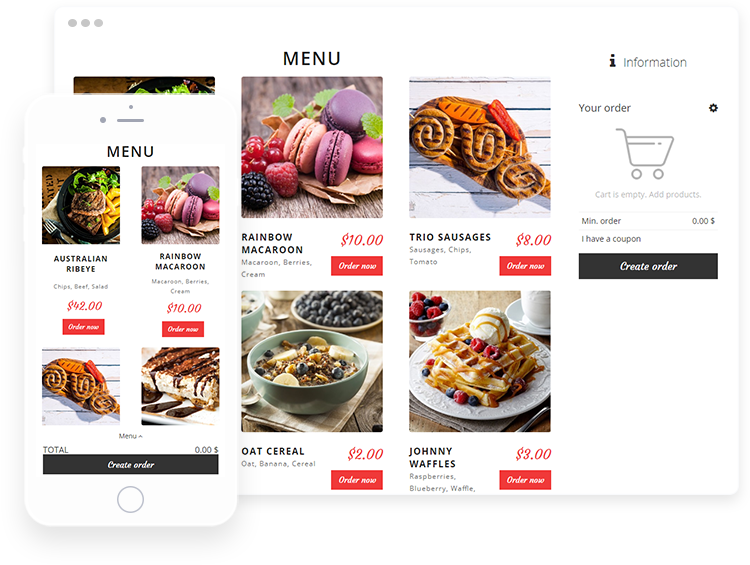 Sell food online The Recibo WordPress menu template will help you launch an online food ordering system on your restaurant website. Take advantage of the potential of online orders and earn more.